Peppertree Lodge is an upmarket and luxurious one bedroom B&B apartment in an historic Hamptons' style sandstone beach house. Enjoy all that the Sydney's Northern Beaches has to offer in this stylish apartment. Self catering kitchen facilities, including microwave and mini fridge already stocked with a range of breakfast provisions. Easy walking access to beautiful Newport Beach in just 8 minutes. We are located on the eastern side of Newport (the beach side) in the famous "golden triangle" nestled into "Bushrangers Hill". Located at the base of Pittwater, one of Sydney's most beautiful inland waterways, Newport offers the twin vista of the ocean beaches on one side and the tranquil inland waterway on the other. The area from Newport to Palm Beach is known as the 'Peninsula'. Apart from surfing and swimming at the beach, kayaking, sailing or fishing in Pittwater, a few minutes walk from the B&B are well maintained tennis courts as well as lawn bowls. There is a great foreshore walking track which takes you from Newport to Palm Beach in the north or down to the lake at Narrabeen in the south. Fancy something to eat? A 5 minute stroll gets you down to a great range of restaurants in Newport or about 8 minutes walk to the famous "The Newport" (formerly the Newport Arms Hotel) where you can kick back with a beer and a meal or enjoy fine dining at the restaurant. There is also a range of excellent dining on our peninsula. If you are into shopping, both nearby Mona Vale and the adjacent suburb of Avalon provide great browsing in a village atmosphere. Peppertree Lodge is the perfect getaway - we only stayed 2 nights and it felt like 5! The apartment is very clean and spacious with great attention to detail. Just a short walk or drive to amazing beaches, walking distance to some great restaurants. David & Jane are very respectful and lovely hosts! Loved this little hideaway, so peaceful and so incredibly well catered for. These guys have thought of everything to make your stay just that little more enjoyable, convenient and special. Really nicely done, beautiful bathroom and loved the sandstone cottage vibe! My wife and I stayed at the Peppertree Lodge for a weekend away. The place is absolutely stunning, clean and quite a relaxing and enjoyable place to sit and relax. The private balcony with water views is gorgeous, and we really appreciated the fridge being stocked with breakfast supplies. 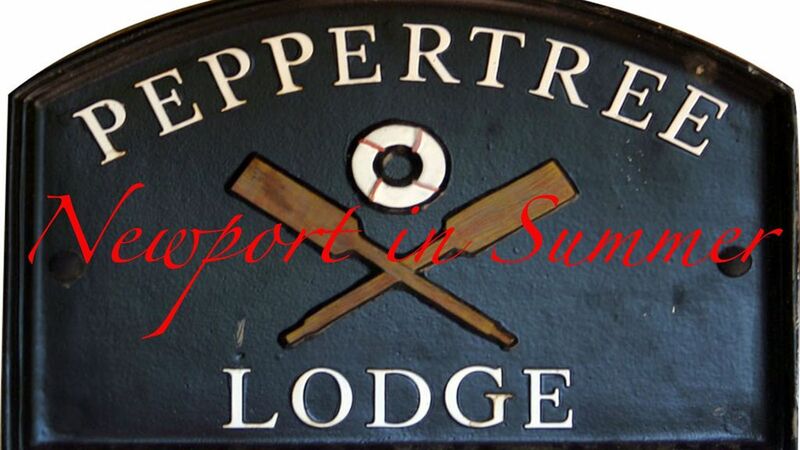 I highly recommend the Peppertree Lodge! Spacious, clean room with a fridge packed with breakfast options. Beautiful garden and great balcony views. Jane was also very friendly and welcoming. Thank you for sharing your lovely home with us. We really enjoyed our stay. Our hosts were lovely, everything was beautifully appointed, very clean and of great quality. We'd absolutely stay again. Thanks so much. We had a great time at Peppertree Lodge. Everything we expected and more. The owner was so very friendly and provided everything we needed. What a wonderful location to explore beautiful Newport and surrounds.